The quickie A-10 build is now pretty much at the paint stage so there's some down time between coats to make a start on a more scale subject. 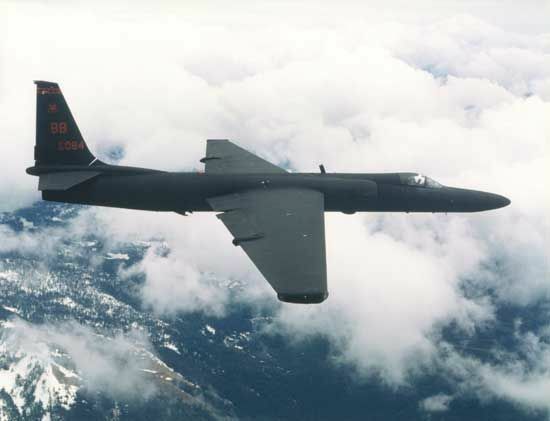 I've quite fancied a U-2 after seeing Harry Twists foamie U-2 flying throughout last year looking very graceful in the air. Looking on Outerzone I found a nice looking plan by Jack Lynn Bale here. It's 117" span (3m less an inch) for EDF or slope and big enough for some detail work and a cockpit for which I'll blatently copy Phil Cooke's techniques used in his big A-10 blog. Tonight I've printed off the plan and stuck the pages to make the 2 sheet plans. I've also printed individual sheets off for the formers and wing ribs ready to turn into templates. Before I make a big start I'd appreciate any input and suggestions on the plan, for example, since there will be no landing gear I don't think I need to cut some formers from 1/4 ply. I'm also thinking of using a wing tube instead of the designed ply spar arrangement. This isn't going to be a quick build but I hope to have it ready before summer 2017. Any thoughts on the wing section Chris? Will you be sticking to the one on the plan or perhaps using a semi-symmetrical section of some sort? Following with interest. Spookily enough, I've been pondering this plan, but for a 90mm edf unit. Carbon tube wing and tail joiners are almost a given these days, but the wing section has a few possibilities. The section that I'm planning to use is MH32 fo and it's all round performance. Any observations will be gratefully received. 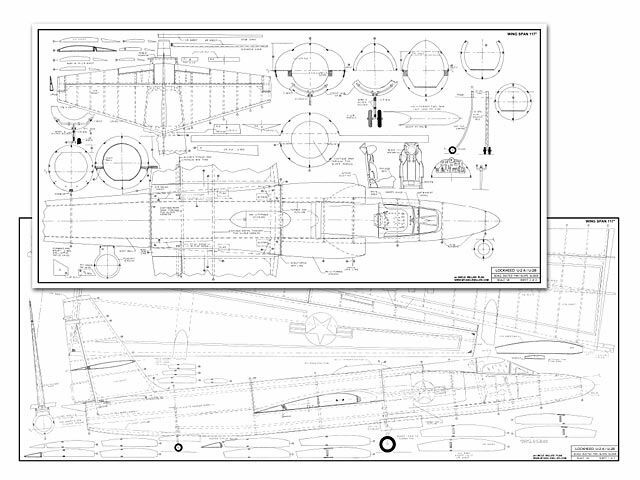 Piers, I was thinking of sticking to the wing section on the plan as I wouldn't even pretend to know more than the designer and also it's pretty similar to the wing section of most of my other PSS stuff. I won't be asking it to go at insane speeds or pull any high "g" or snappy moves so I think it may be OK for scale flight. Pete, whilst snooping around the internet I've seen a few different forum posts from people planning to use a 90mm 12 blade fan, but not found any examples of them being built. When you stick the plan together you realise it's quite hefty for EDF and would need a powerful and efficient unit. Great subject Chris, you be posting the build ? Yep, build photos included when I get started John. MH32 sounds good Pete and similar to Eppler 205 for good penetration. Should fly well regardless Chris with it's high aspect ratio and small frontal area. Should be a superb looking model too, judging by your other builds. Cyril Carr does a plan for a U2. It is to fit a 90mm edf. It also has some alternatives on the plan for a PSS version. All about intake size but at present I cannot remember which is the more scale. They all look good to me.! Used to watch them at RAF Alconbury. Near Inwood models. Could see them whilst driving on the A1. The take off angle was akin to an overpowered Wot 4!! As an aside, Alconbury used to have a nice Aggressor F5 as the gate guardian. Hi Chris, Great choice and nice looking model - I thought my U2 was big enough at 2m but yours at 3m will have lots more presence. As others have mentioned - I would spend some time considering the best wing section to use - mine floats reasonably well (mainly because it is so light) - but the wing section is nothing special and in marginal conditions it becomes a scratch session when compared with gliders of similar span and wing area. Also - minor issue really - an all black aircraft ( if you do yours all black that is) can sometimes lead to orientation issues (well, for me it does!) - so you have to keep your eyes on it! Looking forwards to following your build. Should be good, Chris. Are you going to fit a fan as well, "just in case"? I'll be watching this one as well Chris. Interesting ideas on the wing section. Would a more efficient section increase the wind speed range, from slow to fast, and make it more versatile ? Does the plan wing section limit it to narrower speed range? Any ball park figures on how much a cut, sparred and skinned wing may cost? That maybe a better and cheaper way to go with the wing regarding materials and time. Yes, "coffin corridor" sounds quite frightening! Funnily enough it must have been the TR-1 I was thinking of when you were considering choices before settling for the FD Martyn! I haven't got a quote yet Chris, but I'm leaning towards blue foam wings with hardwood leading and trailing edges and a carbon/balsa spar arrangement. This would be finished with the brown paper and pva method. Light, strong and fairly cheap! Both RG sections were known as very good F3F sections back in the day. My Pike uses one, for instance. I'd expect the wings to be in the 180 to 200 quid range, with spars, bagged epoxy cloth under the obechi skins. I need a cloth to clean the coffee off the screen! I'm sure they're worth every penny but certainly not what I was expecting! How much is NiChrome wire? I do have a roll and might have finally have a go myself. It could all go horribly wrong but it'll be interesting! What are the benefits to a foam skinned wing over a built up wing? I can see that for myself I would be able to repair or re build a balsa wing quite easily if I had to. These are the wing sections of a 72" U-2 plan that I have had in the "I'll-build -that-one-day"drawer for the last 40-odd years.......as you do ! From Flying Models mag. for .10/.15 power. Foam wings are far easier to repair than built up stuff imho. No shattering of skins or splattered ribs to deal with. Please feel free to check with Cloud yourself, but I've got a couple of quotes off them recently and that is about what you'd be looking at I reckon. They are quality cut on a CNC foam and vac bagged so are very tough and very accurate, which is generally not what you'll get from a built up wing, even with laser cut ribs. If you're looking for a quality wing that'd the most efficient, that's the way to go. Sometimes it's worth spending a bit for quality.